The Cruise Examiner for 31st March 2014..
After 2015, there will be no more nuclear icebreaker trips to the North Pole so passengers wanting to visit the North Pole are urged to book now or miss the boat entirely. 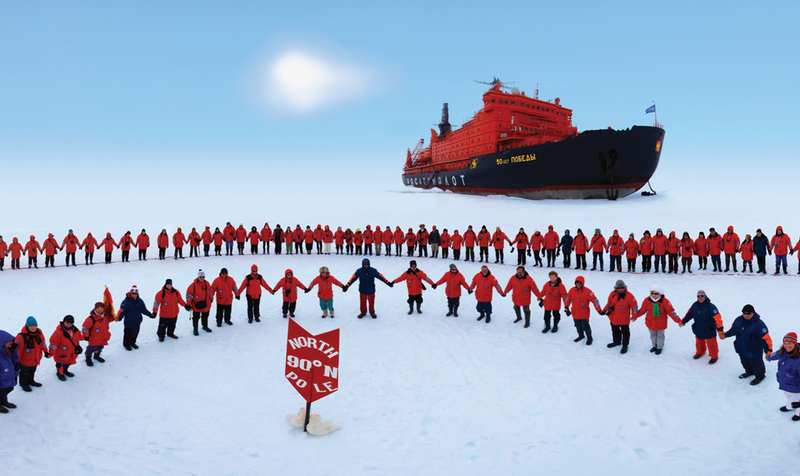 Northern polar trips in future will concentrate on the Northwest Passage across the top of Canada and the Northern Sea Route above Russia. Between Quark Expeditions and Poseidon Expeditions there will be a record total of six departures for the North Pole in 2015. Elsewhere, Royal Caribbean International scored a coup last week by engaging British celebrity chef Jamie Oliver to install the first “Jamie’s Italian” restaurants at sea on board the first two “Quantum” class ships, debuting this year and next. 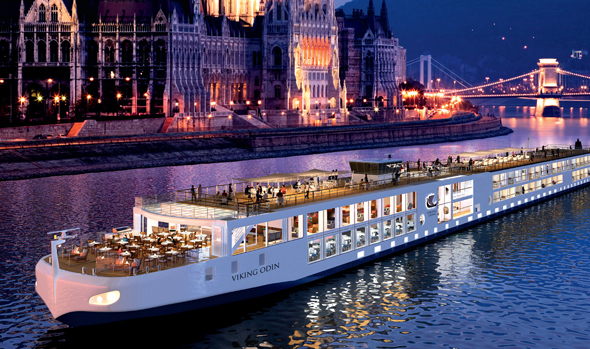 Finally, in view of last week’s Guinness Book of World Records christening of eighteen Viking Cruises river cruisers in a single week, we remember the introduction into the English language of the “Hagenism,” named for Viking CEO Torstein Hagen, by the US edition of Travel Weekly a year ago. The Cruise Examiner for 24th March 2014.. The Cruise Examiner for 17th March 2014.. The subject of travel by cargo ship has received a good deal of coverage in the world press this quarter. 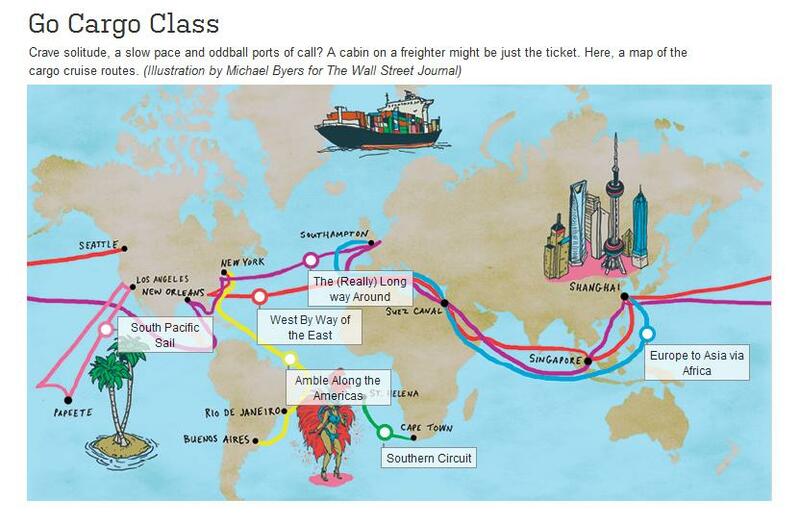 In late December, The Financial Times dedicated most of a page to a feature called “A Freight Adventure.” In late January, the Wall Street Journal (above) did the same with a story entitled “Travel the World on Cargo Cruises.” And last month’s issue of The New Yorker carried a six-page essay on a voyage in a Rickmers Line multi-purpose cargo ship. So this week we bring you an update on that market, as published in “Pennant” magazine for May 2014. Most of us know Slow Boat to China as part of the title of a popular 1948 song, but recent world events have made a revival of this expression quite appropriate. A decade ago, for example, a round trip from Le Havre to half a dozen ports in China and back on CMA CGM’s French Asia Line took 56 days (with 8 ships in a weekly service). Today, due to “slow steaming” in an effort to cut high fuel expenses, the same voyage takes 77 days (11 ships in the same weekly loop). On the same route, a one-way voyage from Southampton to Shanghai that used to take 25 days now takes 45. The situation is similar for Hong Kong. These longer voyage times are mainly the result of higher fuel costs, as the amount of fuel consumed (and the cost) rises exponentially as speed is increased. It has been estimated, for example, that by reducing speed from 25 knots to 20 knots a container ship carrying 8,000 twenty-foot-equivalent containers from Europe to the Far East can save 2,550 tonnes of fuel, or about $1,785,000 on a single voyage. The other benefit of slow steaming is substantially reduced emissions. There are now about 300 passenger-carrying cargo ships trading on world routes, ranging from small short-sea vessels to the world’s largest container ships. These vessels are limited to a maximum of twelve passengers each (above which a doctor must be carried) and many have been built in recent years. Passengers dine with the officers, are allowed to visit the bridge and on French and Italian ships table wine is complimentary with lunch and dinner, while other lines sell wine and beer at genuinely duty free prices. Although some think that there are fewer cargo ships carrying passengers today than in the past this is not true. There has actually been a renaissance in cargo ship travel. Admittedly, many lines have dropped out of this trade over the past fifteen years, in particular companies such as Bank Line, Blue Star Line, CP Ships, Fyffes, Geest, Hanseatic Shipping, Egon Oldendorff and P&O Nedlloyd. 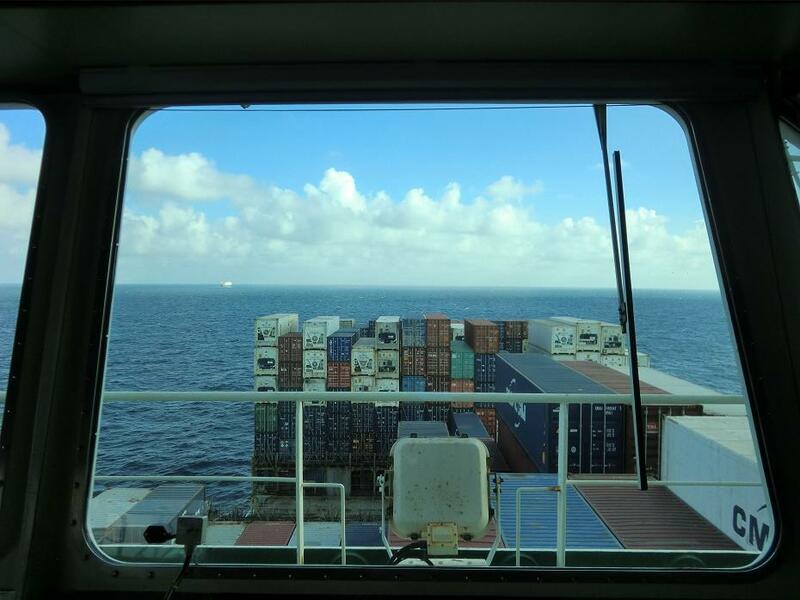 But many of these more traditional lines only operated between one and four ships each, while today the chief players operate fleets of dozens of large new container ships. 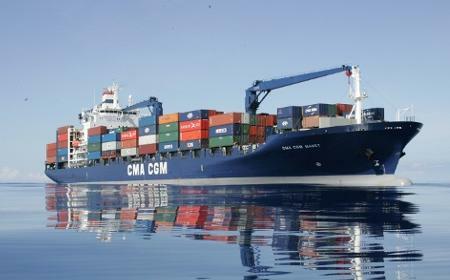 CMA CGM, for example, operates 75 passenger-carrying cargo ships. After adding the privatised CGM (the French Line) to his own privately-owned CMA to form CMA CGM in 1996, chairman Jacques Saadé decided that new container ships should be built with passenger accommodation, most often five to seven cabins for 10 to 12 passengers. This was his way of commemorating the heritage of legendary French liners such as the Ile de France, Normandie and France. In fact, CMA CGM’s passenger section got its start in the Public Relations department. The line carried 662 passengers on its container ships in 2012. While the Transatlantic services of the Cunard Line and the Queen Mary 2 are well known, very few know that CMA CGM still operates its own historic trans-Atlantic service, one that dates back to 1862, year-round every week of the year. This is the French West Indies Line, whose four ships each carry 12 passengers on a 28-day round voyage that begins in Le Havre and takes in Martinique and Guadeloupe. One-way voyages are also available. While cabins are usually available on the French West Indies Line, CMA CGM’s popular Panama Direct Service from Tilbury to Australia and New Zealand is fully booked eighteen months in advance. A full round voyage take 84 days but one-way bookings can also be made. An interesting route for North Americans is CMA CGM’s Columbus Loop service, which connects New York with Seattle and Vancouver via the Suez Canal and the Far East. New York to Seattle is 60 days while Seattle to New York is 52 days and crossing North America by rail will complete a world circuit. Germany’s Niederelbe Schiffahrtsgesellschaft Buxtehude (NSB) started carrying passengers in a different way. As its newly-built container ships were financed by individual investors, accommodation was set aside for the use of these shareholders. After some time, however, NSB found that the shareholders were not making use of the cabins so it put them on sale to the general public, and now operates about 40 passenger-carrying container ships. One of its more interesting routes is the Hanjin Lines service between Italy, the Far East and California, a full round voyage of 91 days. La Spezia to Long Beach is 42 days and includes calls in Singapore, Vietnam, Hong Kong and two ports in China, while Oakland to Naples is 44 days with calls in Pusan, three ports in China, Hong Kong and Singapore. Grimaldi Lines of Naples once operated passenger liners in the trans-Atlantic trades and retired its last cruise ship, the 11,879-ton Ausonia, in 1996. Today it provides passenger accommodation in about 35 cargo ships. All of these carry the maximum of twelve passengers allowed on a cargo ship, but as they are combination container, vehicle and roll on-roll off carriers of a different design, Grimaldi is the only cargo ship operator offering inside cabins. While other lines have maximum age limits of either 75 or 79, Grimaldi will accept passengers up to 85. Its most popular services are from Tilbury to South America (a 51-day round voyage) and from Southampton around the Mediterranean and Scandinavia (a 35-day round voyage). The Polish Steamship Company, which operates into the Great Lakes, has a fleet of 11 ships that carry passengers. 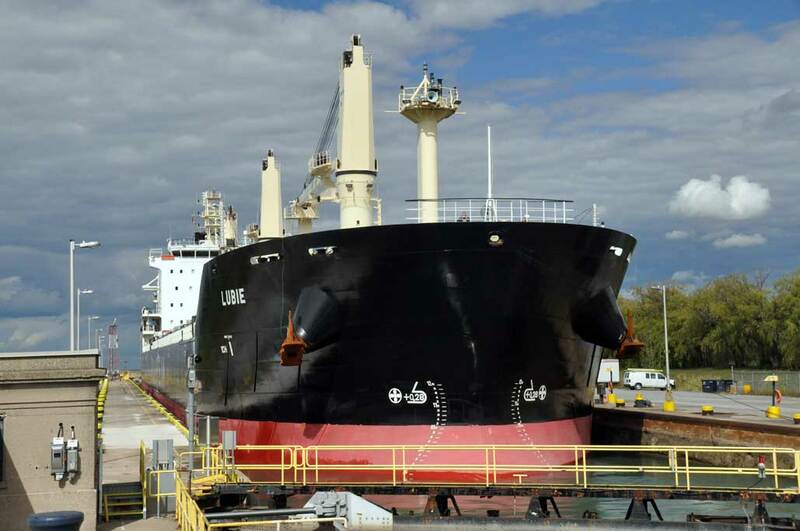 Carrying steel from Europe and loading grain out of the Great Lakes, these offer the last opportunity to travel on a bulk carrier. As the destinations for the outbound grain cargoes are not known until the last minute, it is almost like an old-fashioned tramp voyage. The cargo could be bound for anywhere in Europe or possibly even North Africa and the destination is not known until just a few days before sailing. 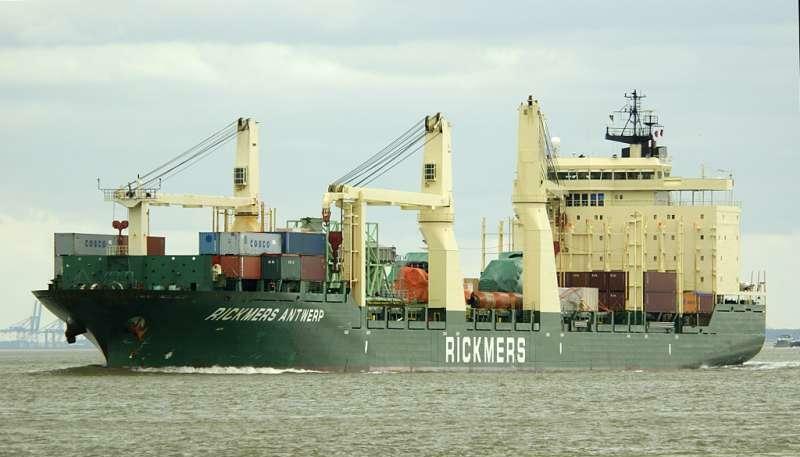 The Rickmers Line, meanwhile, operates nine multi-purpose heavy lift project ships in a round-the-world service. These ships carry project and general cargo and heavy lifts as well as containers, and tend to spend more time in port than pure container ships. Each is fitted to carry up to seven passengers. Passengers join ship in Singapore and sail to Vietnam, Shanghai, Dalian, Xingang, Qingdao, Masan in South Korea, Kobe and Yokohama, cross the Pacific and transit the Panama Canal. They then call at Houston, New Orleans and Philadelphia before crossing the Atlantic to Antwerp, Hamburg and Genoa. Depending on the cargo, calls can also be made in Indonesia, Thailand or Taiwan. Passengers wishing to sail all the way round the world need to connect by container ship from either Europe or North America and then change ship in Singapore. As well as long-haul cargo ships, two island supply routes, one each in the Atlantic and Pacific, carry passengers. Unlike pure cargo ships, these ships carry doctors, which makes them convenient for passengers above the age limits who are still fit. One ship will soon be retiring while the other is due to be replaced by a larger vessel. The British-flag RMS St Helena trades from Cape Town to the islands of St Helena and Ascension about every three weeks, carrying a maximum of 156 passengers. 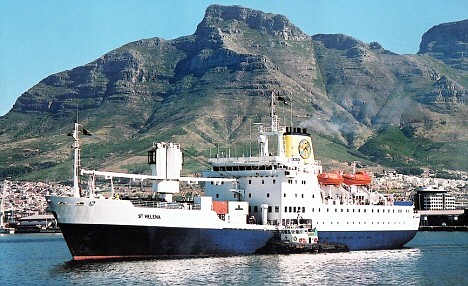 As well as supplying the islands, she carries workers between St Helena and Ascension. An airport is due to open in St Helena in February 2016, however, after which sea travel will no longer be a necessity. As the St Helena is approaching twenty-five years of age and will be retired when the airport opens, now is the time to make this voyage before it is too late. The French-flag Aranui 3, on the other hand, carries about 200 passengers and is due to be replaced. Sailing every three weeks from Papeete,Tahiti, to the Marquesas and Tuamotu Islands, the Aranui 3 operated at 90% of capacity in 2011, carrying 2,200 passengers. Her replacement, Aranui 5, now being built in China, is due to enter service in June 2015. Aranui 5 will carry 296 passengers, of whom 228 will be cruise passengers. Many of the cabins will have balconies and there will be 62 deluxe cabins on Aranui 5 as compared to just 24 on the Aranui 3. For further details please call Miri Lopusna at The Cruise People Ltd in London on 020 7723 2450 or e-mail cruise@cruisepeople.co.uk. Plantours of Bremen have announced that the ms Hamburg will be making two Transatlantic crossings between Europe and Montreal in the summer and autumn of 2015. An August westbound passage will sail from Hamburg to Montreal via Greenland while a return crossing in September will leave Montreal for Lisb0n via the Azores. The 18-night westbound crossing leaves Hamburg on August 19, bound for Torshavn, Reykjavik and stops in Greenland at Prins Christian Sund, Julianehab, Frederikshab, Sukkertoppen and Nuuk, thence to L’Anse aux Meadows in Newoundland, the port of Saguenay and Quebec, before arriving at Montreal. After a 16-night Great Lakes Cruise, ms Hamburg wil sail from Montreal on September 23 on a 14-night return crossing to Lisbon via Quebec, Gaspé, Halifax and Ponta Delgada in the Azores. The last regular crossings between Europe and Canada were offered by Polish Ocean Lines’ 15,015-ton Stefan Batory, which left service in 1987. Our many customers who travel to Australia by sea have filled every cargo ship voyage up until July 2015, so we must seek alternate routes if people want to travel in 2014. We can still get space on the “Spirit” container ships from Philadelphia and Charleston to Australia and from various ports in Europe to Singapore, where one can get a flight for the last leg to Australia (see suite arrangement below). But if you want to sail all the way, the only chance remaining this year is the 600-passenger ms Astor, departing London’s Tilbury Cruise Terminal on November 5 for Fremantle, a voyage of 38 nights that arrives in time for Christmas. 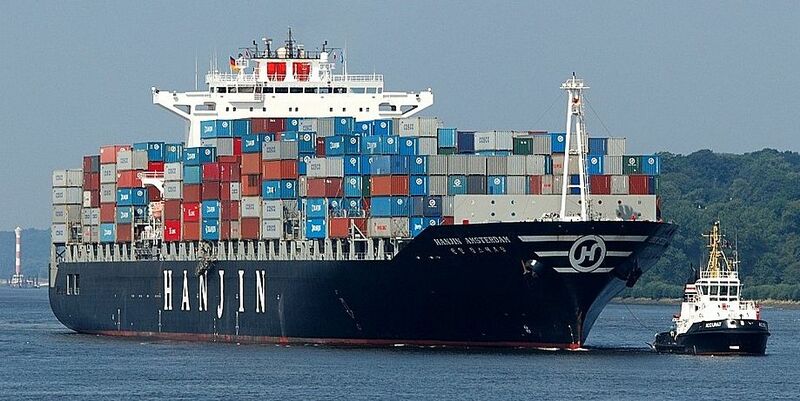 The alternative sea/air route: Two suites on NSB’s Hanjin Amsterdam and sister ships (there is also a single cabin), with regular year-round sailings from La Spezia to Singapore at 20 days for €1,990 (about £1,730) per passenger. From Singapore travellers can easily fly on to destinations in Australia or New Zealand. If you can go in November, there is limited availability in the ms Astor at reduced fares, but single travellers should particularly take note. Only half a dozen single cabins remain, two single inside cabins at £4,379 (reduced from £5,829) and four single outside cabins at £7,439 (reduced from £9,909). Double cabins are still available, ranging from £2,889 (reduced from £3,849) for an inside guaranteed cabin to £8,129 (reduiced from £10,839) for a deluxe suite (the Astor and Senator suites are sold out). For further details call Miri Lopusna at The Cruise people Ltd in London on 020 7723 23450 or e-mail cruise@cruisepeople.co.uk. The Cruise Examiner for 10th March 2014..
As MSC negotiates with STX France and Fincantieri for its next class of larger, but shorter, and wider cruise ships, we have a look at what shape they might take compared to others. As this month sees eight “Northern Lights” cruises going north from the UK into the ice and snow, we also have a look at those crazy cruisers who like to sail into the cold weather in February and March. Will it catch on elsewhere? Meanwhile, all three of the “Royal Princess” class ships will be based in Europe in 2015, the new P&O flagship Britannia, the Royal Princess herself, returning to the UK for the first time since her christening last year and the Regal Princess based in Copenhagen. In 2011 and 2012, The Cruise Examiner took a look at cruise ship registries. This week we turn the telescope around to examine how many lines actually register their ships in their home countries, and give you the result. We also take a look at cruising to the Panama Canal one hundred years ago, in the year in which it opened, compared to today. Surprisingly, the successors of the German and British lines that were there then are still there now. And finally, we wonder if the 2015 Black Sea cruises that Royal Caribbean announced last week for the Rhapsody of the Seas will actually go ahead?